Merik wrote in Wed Mar 30, 2011 5:06 pm: Where do I set it up? And if it is in the FG configs, is PTT button by default set to Space bar? You open AVC and go to options or something. Please get on Skype today so we can crossloop. It will make it much easier for me to help you. Merik wrote in Wed Mar 30, 2011 5:06 pm: Can you give me an example of the server/channel and where I should put it in AVC? Unfortunately, no, since I have not been on VATSIM in a very long time. I'm still bitter about that time I was wrongly kicked. Merik wrote in Wed Mar 30, 2011 5:06 pm: Also, if there's no controller in the area, which server do I connect to to talk over UNICOM? UNICOM has no voice server. 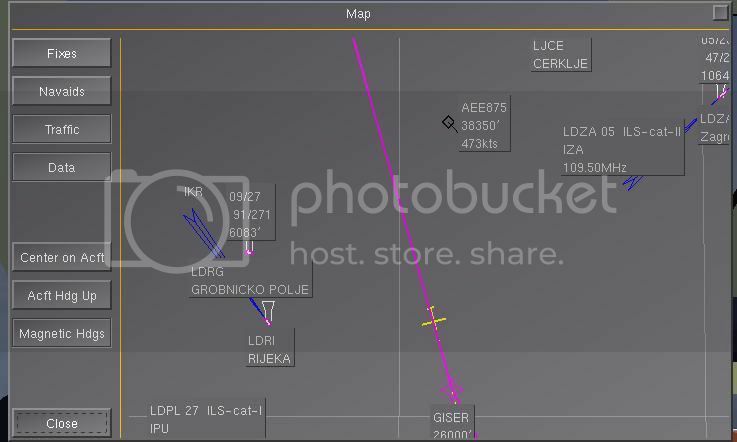 Merik wrote in Wed Mar 30, 2011 5:23 pm: And yet another question I have is, what happens if there's another aircraft near me in VATSIM? Do I actually see them in FlightGear (like when you are on the MP servers) or not? It depends. On default settings, you will not see them at all. If you check the Traffic Passthrough box or whatever it's called you will see either an A320 or a 737 to represent other pilots on VATSIM. Again, please get on Skype so we can crossloop so I can show you, since telling doesn't seem to be working out too well. I want to but Skype's not logging in for some reason. I'm using FlightGear Git version on a Win 7 machine with an onboard ATI graphic card and 3 GB of RAM. Redneck is right... UNICOM is text only. The frequency is 122.80 is case you weren't aware of that. It depends. On default settings, you will not see them at all. If you check the Traffic Passthrough box or whatever it's called you will see either an A320 or a 737 to represent other pilots on VATSIM. IIRC, you also have to have ai-traffic-manager set to "true" in order to see other traffic, although I'm not totally sure about this? Isn't much of this covered in the Wiki article? Go to the Wiki and type "squawkgear" in the search box. That should get you answers to some of this. redneck wrote in Wed Mar 30, 2011 6:05 pm: Again, please get on Skype so we can crossloop so I can show you, since telling doesn't seem to be working out too well. Redneck's suggestion is an excellent one. We can eventually get this done via messages here, but it will be much quicker and easier if you do it interactively on Skype, IRC, or some other more immediate medium. Chrison wrote in Thu Mar 31, 2011 12:12 am: IIRC, you also have to have ai-traffic-manager set to "true" in order to see other traffic, although I'm not totally sure about this? Nope. You really want that turned off to avoid confusion. redneck wrote in Thu Mar 31, 2011 12:19 am: You really want that turned off to avoid confusion. It is fun to see you are not alone in airport. It is second main part of why you are in vatsim (controller is first). Are you care about aircraft collision? Personally I even make custom AI aircrafts and add it to /squawkgear/mp.py to have adequate traffic around me. Well I feel the same way redneck does: I want the traffic to be real. Opps! You're right! I was thinking of a setting you need to change for X-Plane. Everyone please disregard! Yes, however, if you're flying between most of the major airports on VATSIM chances are you're not going to be alone at an airport. That's one of the advantages of VATSIM as opposed to FG-MP... there are literally hundreds of pilots (and dozens of controllers) online. For instance, this last weekend they had an event called "Crossing the Pond" where everyone flew westbound across the Atlantic. The map on VATSpy was literally black with planes/pilots for most of the day. I didn't participate because I was busy with other things, but I'll bet the controllers really got a workout for that event, and pilots had quite the time dodging each other. Also, if you're flying under the control of a human ATC, many people find AI-generated traffic confusing and/or gets in the way because you are the only one seeing it... not the other controllers/pilots that are online. So, for instance, the human ARR/DEP ATC might instruct you to line-up on a runway but in your simulation there's an AI-generated aircraft in the way. Btw, the same thing goes for AI-generated ATC radio chatter. So, while it's definitely fun to have AI-generated aircraft when you're flying by yourself (whether you're doing it online on FG-MP or offline), when you're flying online under ATC control (whether it's FG-MP or VATSIM), it's probably better (i.e. less distracting/confusing) to turn AI-traffic off. Sorry guys, I missread "ai-traffic-manager" as "ai-models". Sure, we want to see only one traffic - vatsim or ai-generated -but not both simultaneously. Runs on Windows, Linux and Mac OSX (requires QT-4). A pretty nice interface, too! Very nice! I was just thinking there should be a solution to unify these trackers with the route planning. Something for future programs to do. Actually, that's another feature of QuteScoop I like... the Route function. Click Plans-->Route (or hit F9) and you get a window where you can enter the starting and ending airports. 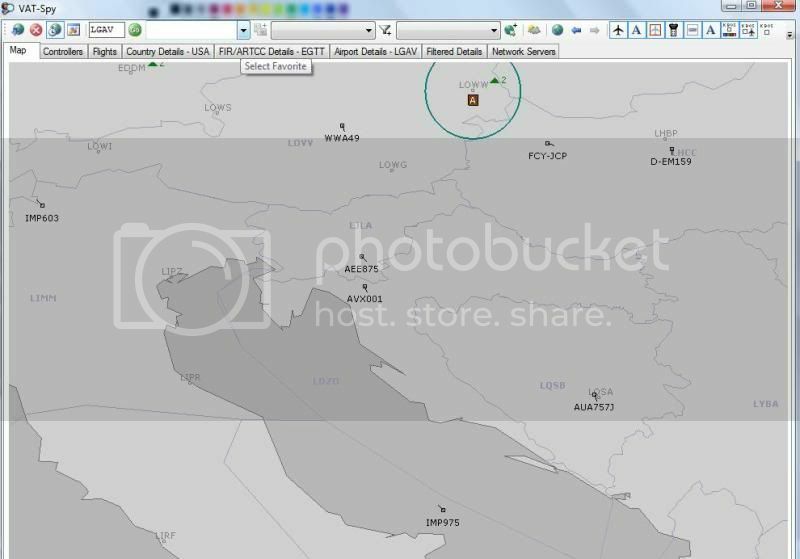 Then, you click a button and QuteScoop will check VATroute and vroute for available flight plans. If you find a plan you like, you can highlight the route and click on the "VATSIM prefile" button, and the info will be sent to the VATSIM page for filing the plan online. Last edited by Gijs on Sun Apr 03, 2011 8:41 am, edited 1 time in total. What is the setting that we have to change in FlightGear so that we can see other aircraft on VATSIM? Heres a couple images showing how we can see other flight simulator users such as FSX, MSFS and X-Plane whilst flying using FlightGear on the Vatsim Network. Heres i am in Vatspy on the Vatsim network, callsign AVX001. Notice the other aircraft AEE875 which is on FSX. On FG's map in Equipment dialogue with Traffic clicked on. Check out the Pilot list. As AEE875 comes in range, there he is. and even better, check out the model view. his livery is not displayed as we dont have Agean in the fg ai database. If you were at the airport you could see many other flightsim aircraft there too.